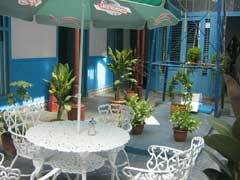 Hostel Azul offers rooms for rent for travellers to Cuba. 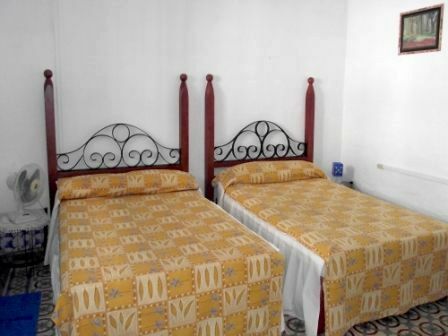 Ours are double rooms, with 2 beds and a private bathroom each. 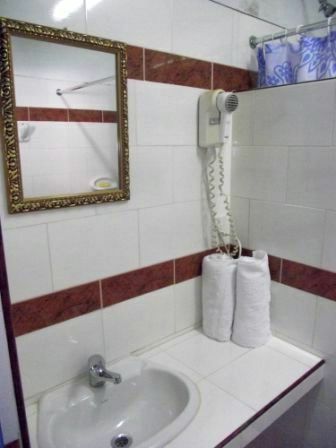 All rooms are air-conditioned and guests have their own refrigerator. Breakfast is offered upon request ($5). We are renting from 2006 so you may expect professional service and plenty of travel advice. We can easily accommodate 8 persons. And even more combined with neighboring Casa Alma. 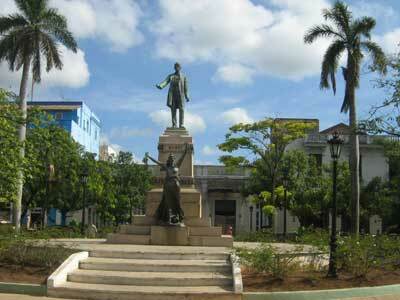 We are located 100 KM from the capital of Cuba: Havana and 23 KM from Varadero airport. Just check the map. Varadero airport (VRA) is situated between our city of Matanzas and the the famous Varadero peninsula. 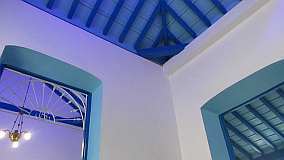 Our Casa Hostal Azul in Matanzas is a perfectly positioned Bed & Breakfast place for passengers who fly through Varadero Airport. We are a home stay of choice by Cuba travellers after arrival and before departure from VRA. 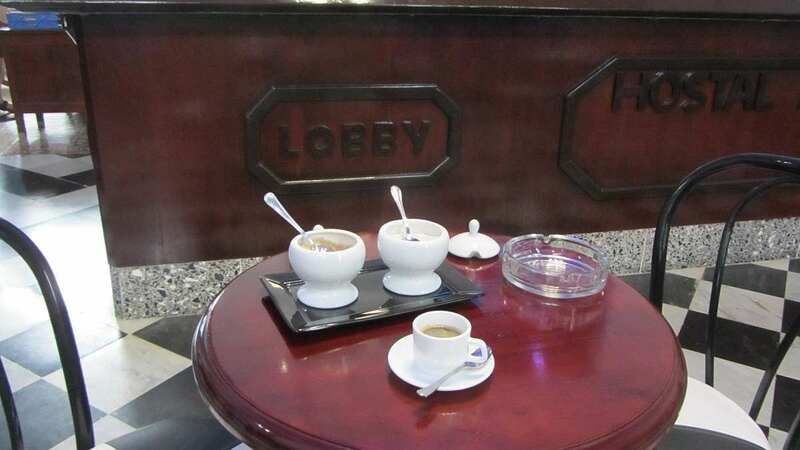 You will find us in a central location of Matanzas, just 2 minutes walk to Plaza Libertad. 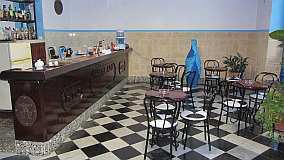 Guests relax in our house bar, where a live music band plays salsas if there is demand from the clients. 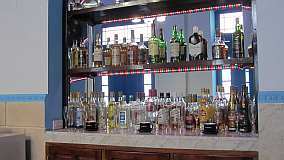 We have plenty of experience hosting the visitors to Cuba. Our guest receive advice about transport to other cities and about the city of Matanzas. Travelling on tight budget? 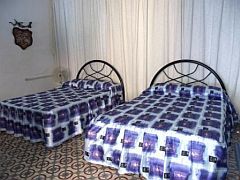 One of our rooms can accommodate three economy tourists (one double bed for a couple and one single bed). 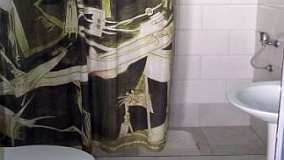 $30 per room and night. Two persons pay the same as one. No extra charge for children. Please note: We charge an extra fee for mini-stays unter 7 days. If booking more then 15 days please ask for 14+ price (not available in December/January). Intecity bus line VIAZUL is the most popular means of transportation among travelers to Cuba. There are currently (2016) four daily departures to the Varadero airport ($6) and five to the city of Havana ($7). Surprise: yes, you can go to Havana by train! You may call it a "safe advature ride", certainly not a luxury. It is fun, with plenty of photo opportunities along the way. Please ask your host for details. If you book more then 2 weeks - please ask. 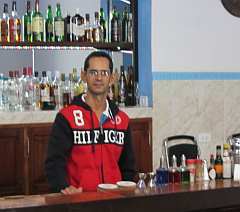 Yoel has been running the hostel for many years and is always happy to share his experience with the guests.